The Meyre family, true Medoc winegrowers, have succeeded in maintaining the family estate over six generations. Pioneers of wine tourism, they were among the very first to open their doors to visitors. Julien and Nathalie are now at the helm, each bringing their own experience and their new dynamic approach. The family naturally continues to work together, choosing integrated agricultural practices that reflect their high environmental values. 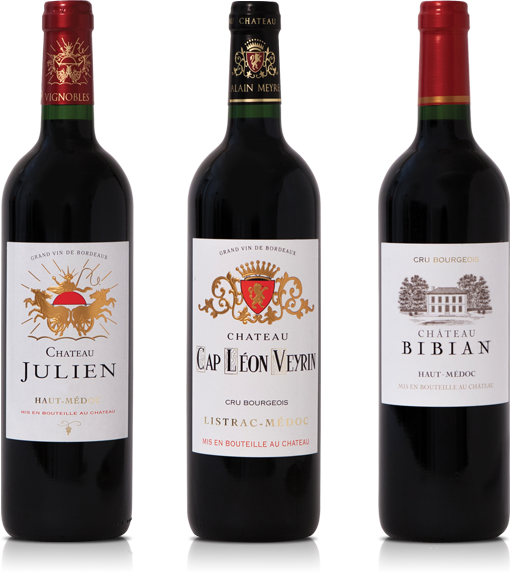 The ‘Vignobles Meyre’ a family company located in the heart of the Médoc, near Bordeaux, is made up of three châteaux. When selling our wines, you can be sure to offer top quality products from world-renowned appellations. For six generations now, our family has striven to produce excellent wines, ensuring the satisfaction of even the most demanding connoisseurs. Quality is guaranteed by the alliance of modern production techniques with centuries of experience in our vineyards.